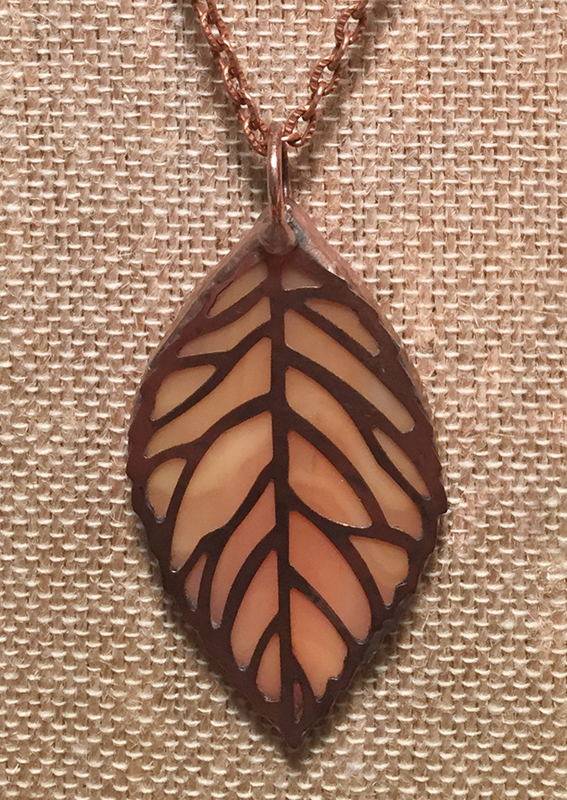 Just in time for Fall – my stained glass leaf necklace class. 36 E High St East Hampton, Connecticut 06424 (in same building as Subway). $35.00 per person. All materials provided. In this class, participants will cut, solder and patina their stained glass leaf and choose a necklace in a plating to match. Attendees will go home with a finished piece of jewelry. A variety of glass colors, patinas (black, pewter, copper, antique brass and silver) and different chains to match will be offered, as well as some bead embellishments. The stained glass is lead-free, so even older kids are welcome! Class is limited to 10 people. Perfect for the fall season – to wear or share!